Sarah Nader - snader@shawmedia.com Rockford Jefferson's Micah Minneyfirld (left) and Huntley's Jadrian Flores go after the rebound during the third quarter of Tuesday's Class 4A Huntley Regional March 3, 2015. 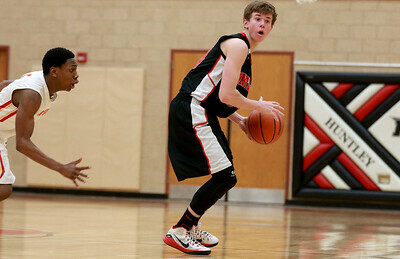 Huntley was defeated, 56-61. 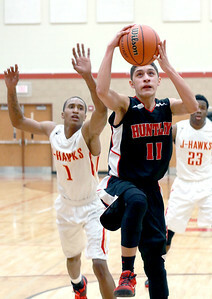 Sarah Nader - snader@shawmedia.com Huntley's Jadrian Flores shoots during the third quarter of Tuesday's Class 4A Huntley Regional against Rockford Jefferson March 3, 2015. 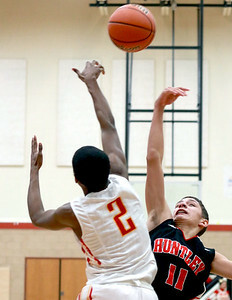 Huntley was defeated, 56-61. 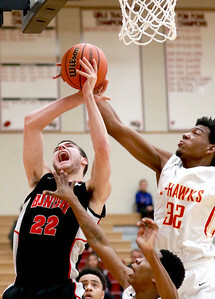 Sarah Nader - snader@shawmedia.com Huntley's Connor Boesch (left) has his shot blocked by Rockford Jefferson's Corey Smith during the second quarter of Tuesday's Class 4A Huntley Regional March 3, 2015. Huntley was defeated, 56-61. Sarah Nader - snader@shawmedia.com Huntley's Connor Boesch shoots during the fourth quarter of Tuesday's Class 4A Huntley Regional against Rockford Jefferson March 3, 2015. 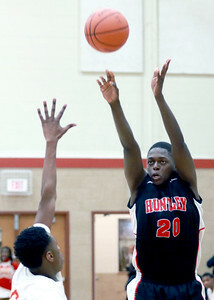 Huntley was defeated, 56-61. Sarah Nader - snader@shawmedia.com Huntley's Jason Zobott brings the ball down court during the second quarter of Tuesday's Class 4A Huntley Regional against Rockford Jefferson March 3, 2015. Huntley was defeated, 56-61. Sarah Nader - snader@shawmedia.com Huntley's Makomborero Tizora shoots during the fourth quarter of Tuesday's Class 4A Huntley Regional against Rockford Jefferson March 3, 2015. Huntley was defeated, 56-61. Sarah Nader - snader@shawmedia.com Huntley's Jack Bessey shoots during the fourth quarter of Tuesday's Class 4A Huntley Regional against Rockford Jefferson March 3, 2015. Huntley was defeated, 56-61. 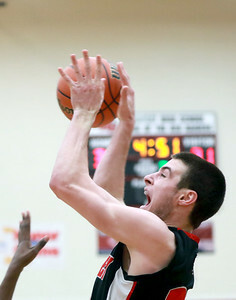 Huntley's Jack Bessey shoots during the fourth quarter of Tuesday's Class 4A Huntley Regional against Rockford Jefferson March 3, 2015. 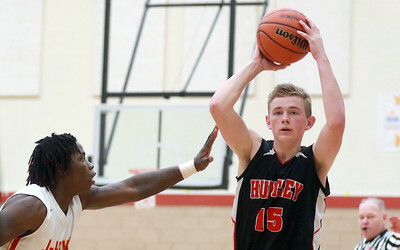 Huntley was defeated, 56-61.